The coldness of winter, the mildness of spring, the sun of summer or the shades of the fall. This year’s theme ‘Through the Seasons’ has been interpreted by each artist in a different way, with works focusing on one season, changing seasons and even the seasons of human lives, represented through realism or abstract colour and form. 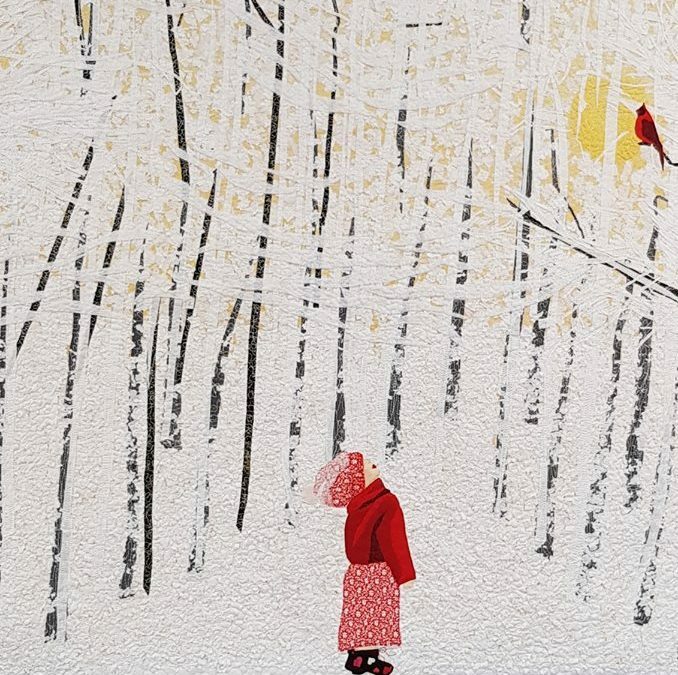 All the 38 pieces in the exhibition were originally entered into a textile competition held in the prestigious annual ‘Carrefour du Patchwork Meeting’, which is hosted each September in Alsace, France.